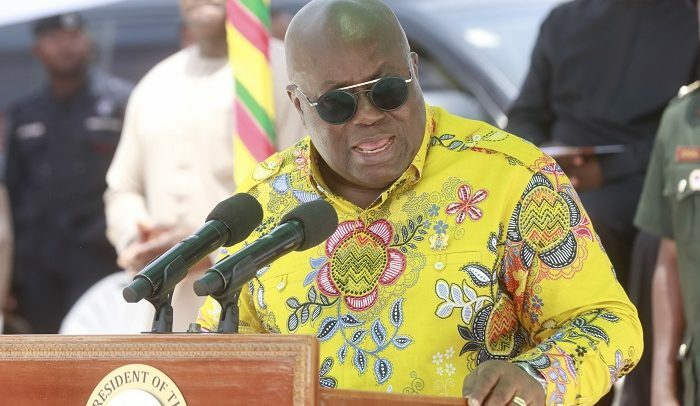 PRESIDENT NANA Akufo-Addo is scheduled to cut sod for the Tamale Interchange project tomorrow, marking the official commencement of the $1.5 billion roads initiatives under the $ 2 billion Government of Ghana and Sinohydro Master Project Agreement. The sod cutting ceremony is expected to take place at the Jubilee Park, beginning from 9:00am. When completed, the Tamale Interchange would be the first of its kind in the northern part of Ghana. Vice President Dr. Mahamudu Bawumia is expected to join the President at the Jubilee Park in commissioning the project. It was later approved by Parliament, and two sets of contracts, were laid before Parliament. The two contracts were the “Engineering Procurement Construction contracts (EPC), Deferred Payment Agreements (DPA). Beneficiaries of the Kumasi inner city roads include Manyhia sub-Metro, which will get 11km road, Suame sub-Metro, 9.45km, Tafo-Pankrono sub-Metro, 9.79km; Asokwa sub-Metro, 9.91km; Kwadaso sub-Metro, 6.29km; Oforikrom sub-Metro 7.43km; Subin sub-Metro, 8.98km; Nhyiaeso sub-Metro 7.00km; Bantama sub-Metro, 10.00km; Asante Mampong, 20.15km. Feeder roads; 4km Mpasatia-Town roads; 4.5km Nyinahin-Adupri feeder road; Nyinahin – Sereso, Timpon–Achiase junction feeder road, 29.7km; 4.1km Nyinahin town roads; 1.5km Nyinahin Market junction -Pentecost Church feeder road, 14km Nyinahin-Kyekyewere feeder road; 3km Kessekrom-Adiembra feeder road.